A month ago, I was starting to pace up and down. Book number five was lined up to go live. My fifth book in four years, there was a lot of anticipation hanging in the air. There was fear, anxiety, but also some level of excitement too. Of all the books, Kangana makes me smile, and I am only just starting to figure out why. Kagana is my ray of sunshine, rainbow book. A book that signals a change in me, my mind-set and subsequently my writing mojo. It marks the end of what has felt a jumbled up, chaotic time. A time during which my life has gone through all sorts; there’s been growth, development, sadness, joy, not to mention lots of interesting adventures. The last five years have been wonderfully formative, giving rise to five very different books. Five. I still don’t know how that happened. 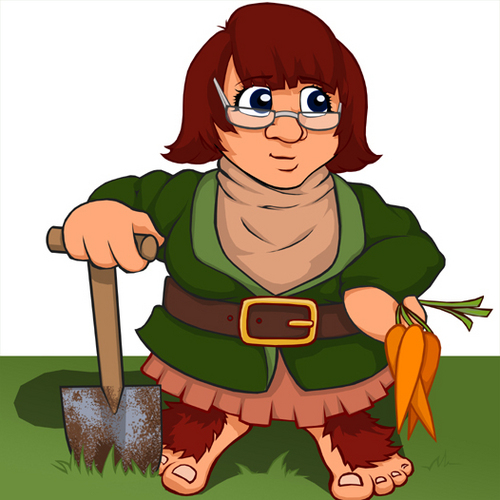 Previously, I have noted that writing about gardening was some of a multi-layered metaphor; this blog, has evolved and grown from the seeds of an idea and continues to do. 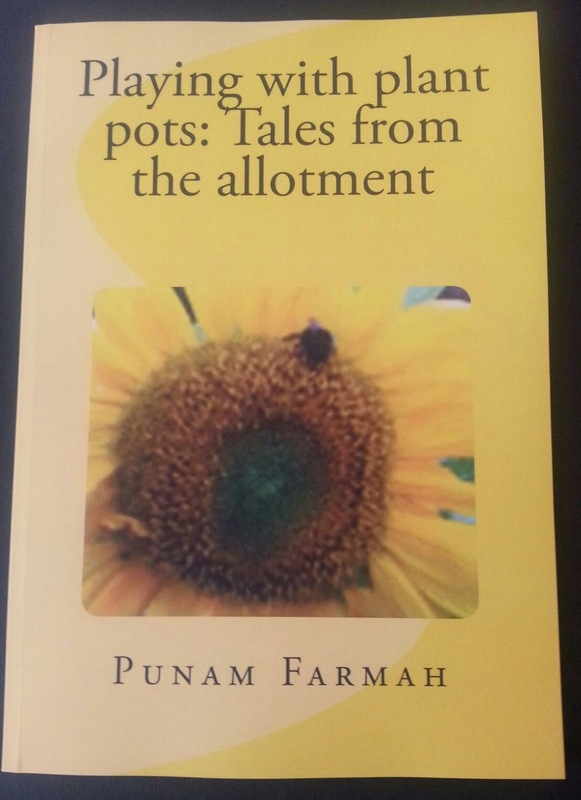 Writing two gardening books, was much about my growth and development as much as it was about my allotment. To this day, I cannot tell you why I made the leap into writing fiction, writing stories that couldn’t be more removed from roses, mud and raspberries. I remember the moment when; mid morning, tapping my pen-a green biro-against lined paper. I had an idea. The genesis of Fragments came from grief, bereavement; it is not an easy, soft, all is rosy book. Fragments is a whirling tornado of emotions, humanity, tears and pain. Don’t get me wrong. In the same way that every grey cloud has a silver lining, so does Fragments. Fragments is a book about getting up again having fallen down; about dusting yourself off and moving on. It is a book about finding strength, even when don’t think you have any. This is a book that shook me sideways, and at a time when I was feeling broken; this was my way of finding out my depths and layers. When Fragments went live, I remember feeling wounded. I’d written this book, eighty something thousand words, and it hurt. I had this massive great big hole, as though something had been wrenched out of me. Absolute internal pain, and it throbbed. I remember feeling as though I had been kicked in the stomach. What the flip was a girl to do? 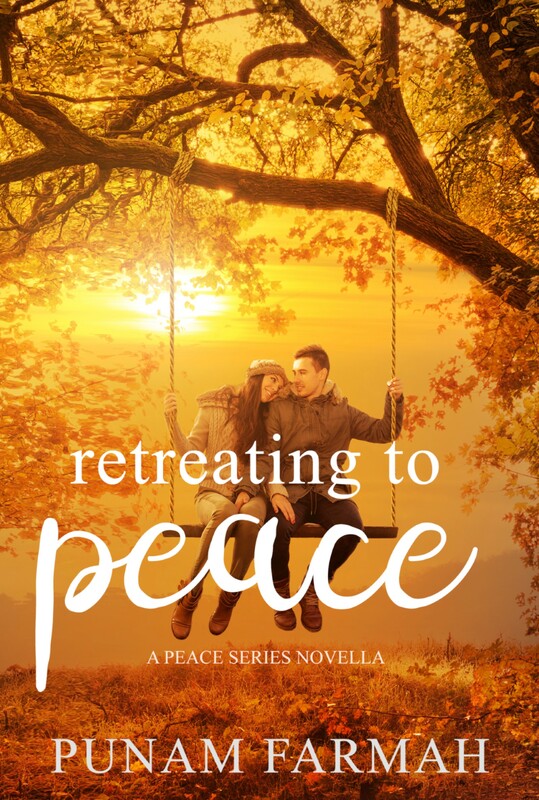 Well, she waited four weeks and decided to go find the Peace Novella series. You’ve heard a lot about RTP-that’s Retreating To Peace. I feel bad writing this, but Devan Coultrie was definitely a band-aid. A sticky plaster to fix into place what ever Fragments had done. RTP is a romance, yes; a contemporary romance. It’s not fluffy though, Devan and I both had dents. So we both fixed them, together. I rebelled, I wasn’t willingly going to write a fluffy romance. I still couldn’t find it in my soul to do so. I remember asking my fellow Peace writers to read it, but wincing in anticipation. I’ve never been so scared to let anyone look at my work. (Team Farmah never get a look in, honest) I sat there, with the handwritten manuscript pressed to my chest. I didn’t want anyone to read my romance novella and then beat me with it. I struggled with the concept that all romance novellas were full of bow-chick-wow-wow that defied the laws of Physics. Full of bodice ripping country squires and doe-eyed damsels. But I took stock, received positive feedback. I prized the manuscript from my chest, and did a really funny happy dance. The ladies of the Peace Novella series , picked me off the floor to dust me off. I stood up, held my head high. Then I bit the bloody bullet. Off went RTP, released into the ether and unto the masses. There was something very nice, warm and fuzzy about having written RTP. Devan Coultrie was a lovely, faith-restoring band-aid, and I am most certainly not done with him. The ladies of Peace, were sent to my universe for a reason. I took the summer off, decided that I was I need of a break. Both Fragments and RTP had changed my head space, and now there was a scope for sunshine after the rain. Taking a walk to Sarehole mill with my sister, I let the greenery of Middle earth talk to me. That was August. I went home, wrote three thousand words, then put my notebook away. I was not in the mood to do any more writing. Autumn and winter passed. I got busy, and there were too many things happening for me to be creative. One Saturday, I sat with my soft pastels and decide to make rainbows. Three were created in varying configurations. Rainbows had been very much on my mind, especially with counselling therapy. I even had a set of oil paints and tried to paint one with the EMS as a reference. In my mind, rainbows demonstrate the power of the universe. Light after dark, hopefulness. The way that light bends with water to give the different wavelengths. It makes great scientific sense, but its wonderfully magic. Putting aside the pastel creations. I went looking for my notebook. I looked at the three thousand words and knew that one character from Fragments was my next venture. That character was Gorbind; a bit part character that had a sliver in a chapter. You could literally blink and miss him. As with Devan Coultrie, Gorbind was borne out of a lack of Indian romance books. This continues to annoy me, so perhaps I can do something about it. I was writing yet another romance. Kangana was now being forged; I had a chapter list, a sequence of events and also a playlist. I had also more than once visited Birmingham’s Museum and Art gallery, where seeing the Lucifer sculpture and Rosetti’s Porsepine fueled my imagination further. For the next ten months, my poor parents heard Dr.Zeus’ Kagna-two versions-, Hallelujah-three different versions of that-, Eric Clapton’s ‘Layla, not to mention Cyndi Lauper’s ‘At last’ on loop. This made a huge change from Jolene, two thirds of Adele’s back catalogue and all of Maroon 5’s as used in RTP and Fragments. I do have to say though; for some daft reason, halleleujah has occured for all three fiction books. Kangana has made me laugh, it has made me smirk. It has also made me think of Gianluigi Buffon in a whole new light. Well, most of my main characters have faces as I write them. Gorbind was the esteemed Mr. Buffon. Devan Coultrie, was Aidan turner. In Fragments, Jamie Dornan inspired Christopher and Adelphi. One day, all the rest will have faces. Albert Finney, is Grandad Albie. Kangana is a lighter book. It does have its dark bits. All rainbows do. Kangana is a book that marks a change; it’s a book that marks a movement forward into a different direction. No idea what that direction is. There is a stack of writing projects sat on my desk. Two have been pulled out for development. The one, is labelled Hades. Yes, him of the underworld. The other is identified as Aurelia and involves vampires. That is all I have for now. I have no further details as my mojo is at rest until Spring. That doesn’t mean that I won’t be planning and gleaning the universe for inspiration in the mean time. All in all, this means a break from intense hot-housing and slowing down to regenerate. For now, I am going to bask in a rainbow and colour my soul. Go grab your copies, try to do the same. In the next couple of months, I am hoping to make all of the paperbacks available on Kobo. So here are the pre-order links, in case you want to stock up. To celebrate the release of Kangana there will be a number of back catalogue offers on kindle! Click on the image to get your copy! Will be free on kindle! There is no such thing as a straight forward romance. Sometimes when you think you are falling for one person, you are really falling in love with everyone else around them too. Gorbind’s family are his whole world, even if they are far from normal. His kid brother needs looking after and his Grandmother just wants him to find happiness. His whole world changes when he meets Padmi. Life gets more interesting as she changes Gorbind’s universe completely. Romance with Padmi is anything but straightforward.